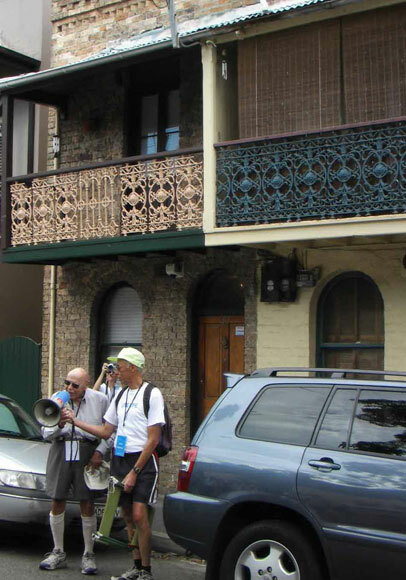 The Seniors' Week "Walking the Streets of Turramurra" promotion opened with what was described as a "motivational talk" from Alan about the benefits from and joys of walking. 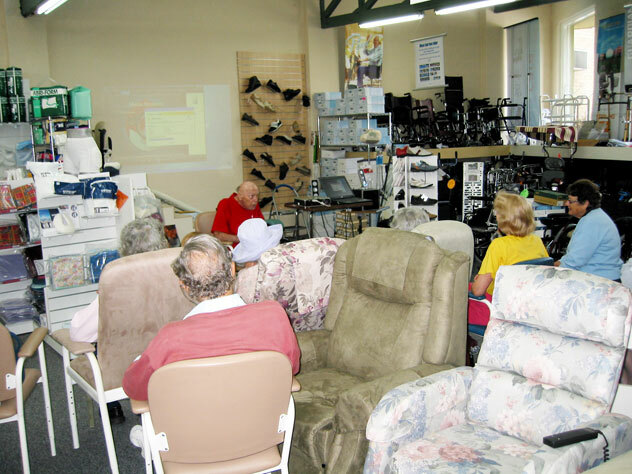 The talk was in the unusual setting of a store that specialises in equipment for seniors. 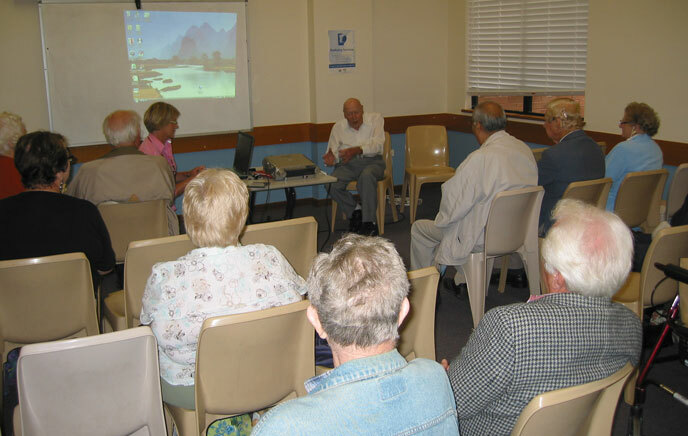 Alan has addressed his third Probus Club meeting, this time 50 members of their Hornsby club. 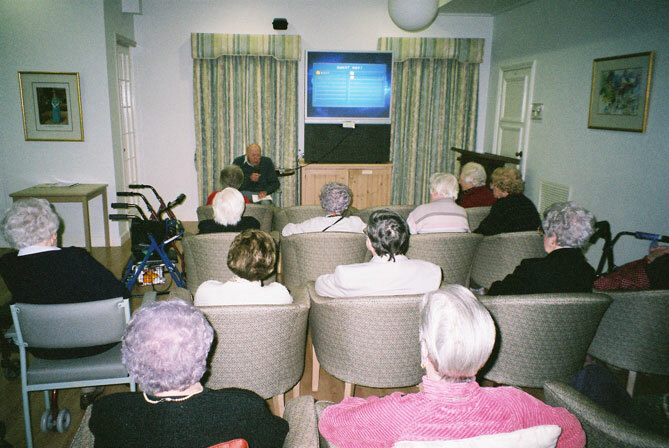 Although most Probus members are elderly, their clubs are thriving unlike the battles faced by so many organisations to retain members. Alan addressed a group of diabetics at a Chatswood function organised by the Northern Sydney Division of General Practice. He encouraged the patients to minimise or reverse their health problems by exercising.daily. 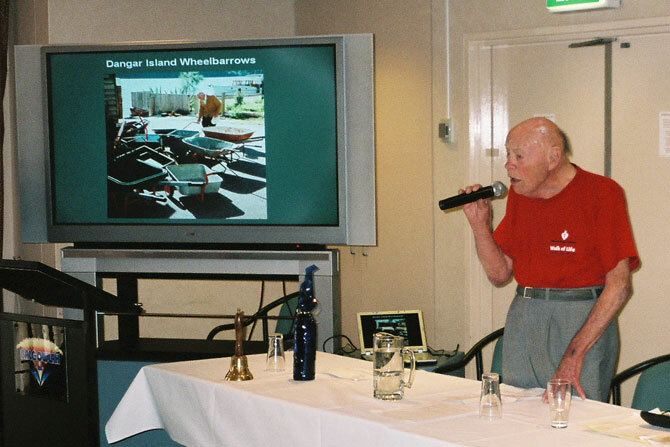 Alan was guest speaker for residents of North Sydney’s Georgian House retirement village and day-care centre. As opposed to day-care centres for children, this is the Uniting Church’s pioneering venture into day care for elderly people while their sons or daughters are at work. 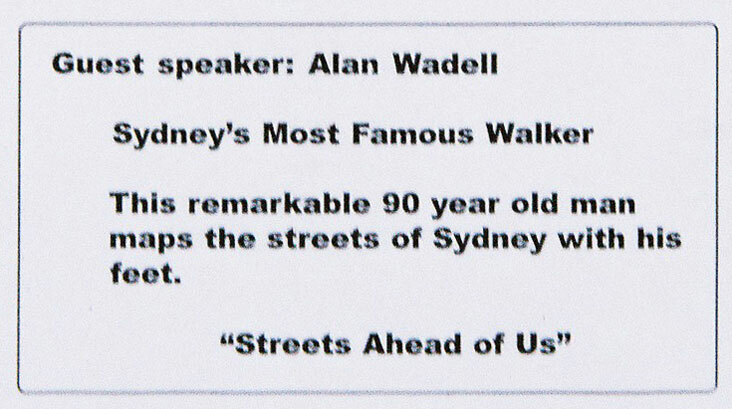 Wahroonga Probus Club invited Alan to be guest speaker after learning of his walking exploits via TV news. The 60 members wanted to know everything from the best walks in Sydney to how to cope with dogs. One of the members was a distant relative; they had not seen each other for 57 years. Seniors' Week www.nswseniorsweek.com.au is an annual programme of events for seniors, organised by the New South Wales Government. Again this year, Alan led the Friday walk and provided the commentary. 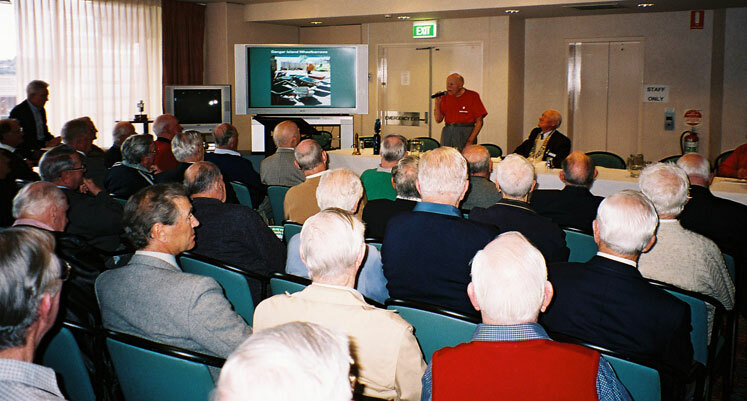 Alan was guest speaker for the Manly Probus Club, the name “Probus” being derived from professional and business men. You might deduce from the grey-haired audience that Probus Clubs don’t target a young membership, and you would be right. The average age of the 100 members here is 84. The Department of Ageing, Disability and Home Care invited Alan to be a Media Ambassador and tour guide as part of the state government's Seniors' Week, 2006. On 7 April he conducted a discovery walk through what he calls the "Hidden Valley". 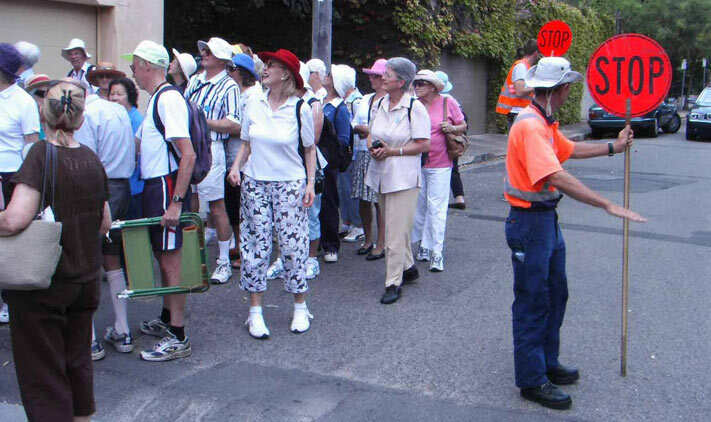 He guided 100 seniors, split into a morning and afternoon tour, down cliffs and along the narrow lanes of Waverton. 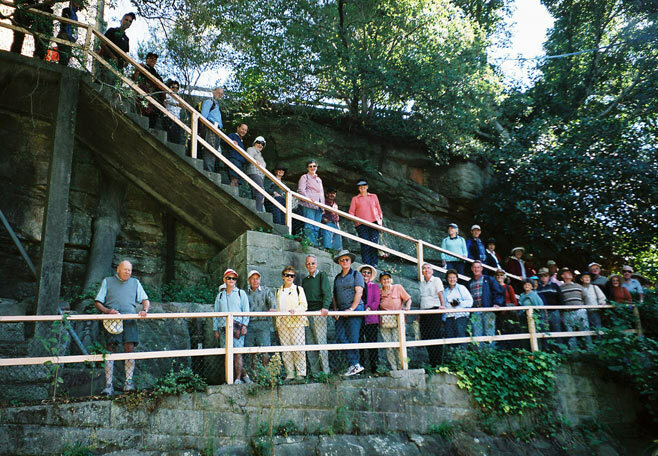 The "Hidden Valley" walkers descend the cliff between Toongarah Road and Bay Street, Waverton. "Share" is a government initiative which promotes health and fitness in Sydney's south and south-west suburbs. 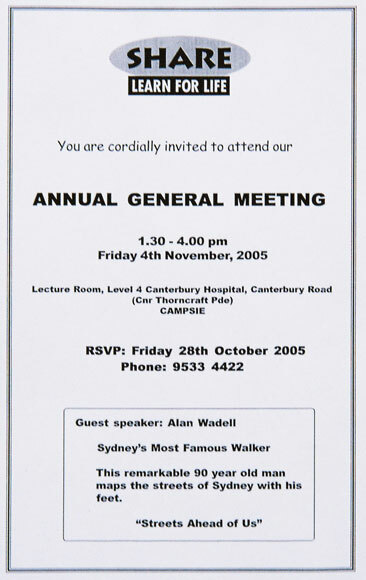 The president invited Alan to be the guest speaker for their 2005 annual meeting. The 40 in attendance were a mixture of departmental executives, psychologists, health professionals and others. He was offered a $100 payment for his talk. On the basis that their annual report had mentioned that some sections of "Share" made a loss for the year, Alan declined it, claiming that they wouldn't be able to afford it. They insisted, however, so he now jokes that he is "on the professional speaking circuit." 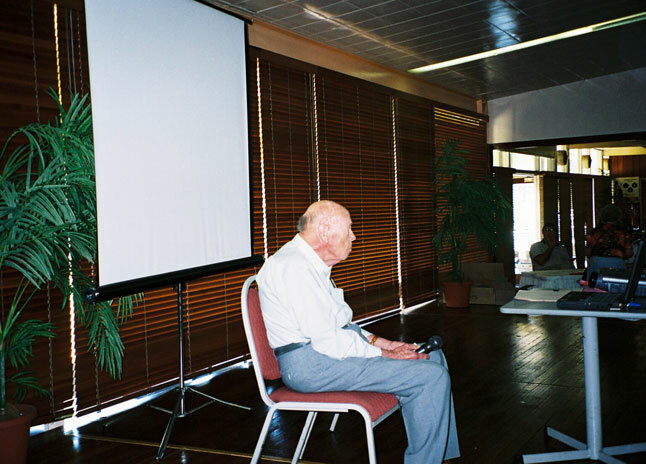 Alan was guest speaker at the Health Department's "Boost Your Life" launch at Wentworthville on 15 March 2005. 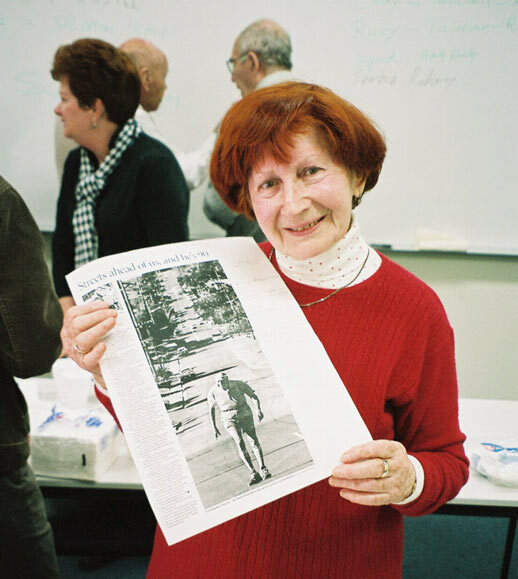 He spoke to the 60 guests about the fun and fitness you can derive from exercise, even at 90. "I am a teacher of two classes (at Hornsby, a northern Sydney suburb) composed of students who are migrants to this country and who are increasing their reading and writing skills in English. 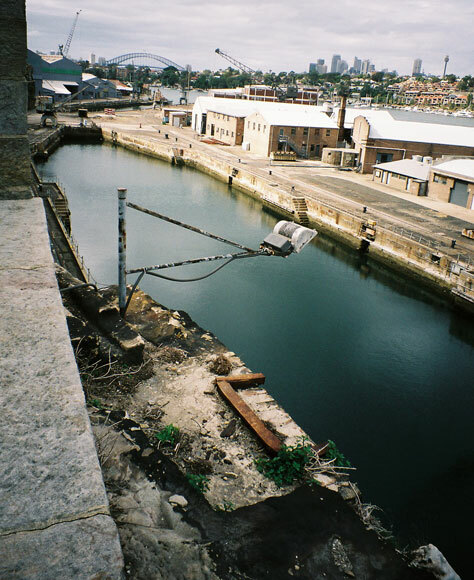 For one of the lessons we read your article from The Sydney Morning Herald of last week and then visited your web site. The students were impressed by your feat and your feet. "